How do I get my .swf files to play? I have some .swf files that I used to play on my Android device. They stopped playing and I copied them to my computer and tried to play with the default browser Firefox. It didn't respond, I updated my flash player, there's no sign of playing. 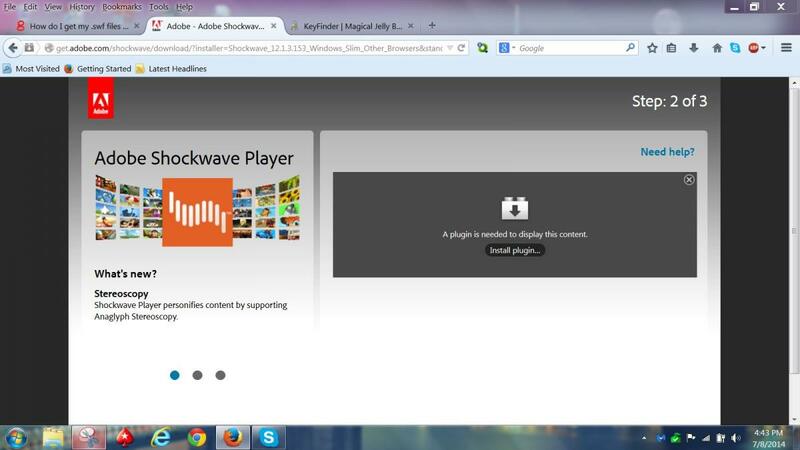 I downloaded the standalone players from Macromedia and Windows flash player but in vain. Can someone please give an idea to open them? They are really important to me. I even tried swf player from Softpedia. Hello! Google is my friend! Hope this helps! Thanks for the reply donetao, I've already tried all of those mentioned ways on the Wiki link you provided. Hello Bob! 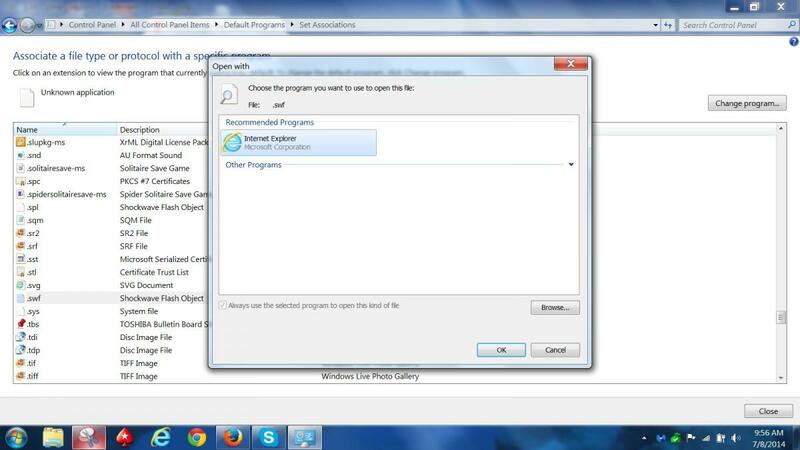 I don't have any SWF files that I know of, but Internet Explorer is the default program??? Hello Aura! Your link does not exist!! Edited by donetao, 08 July 2014 - 10:24 AM. N/P But I like my link better. It doesn't use a Down Load Manager that adds PUP's to your PC even though you untick them. Down Load Managers are bad dudes and I try to avoid sites that use them. CNET is very bad about using them and I have quit using CNET to down load freeware, It's all about advertisements and $$$$. So far filehippo does not use these Down Load Managers, I try to put the word out about Down Load Managers every chance I get and hope the word gets spread around and people stop using sites that use them. I can't really call this installer a "Download Manager" as it's an official Adobe download link for an official Adobe product. Also, if you uncheck the option BEFORE clicking on "Download", you won't get the bundled program. A Download Manager HAVE the bundled program anyway and sometimes gives you the chance to NOT install it. If you uncheck the promotional offer from the link I provided, you are getting a standard installer and not a "Download Manager" as the .exe that you,re getting IS the installer, while a Download Manager download the installer that you have to execute after. Long story short, the download link I provided do not contains a Download Manager but rather a direct installer in the end. Hello ! Don't want to get off topic, but the above statement is not always true. 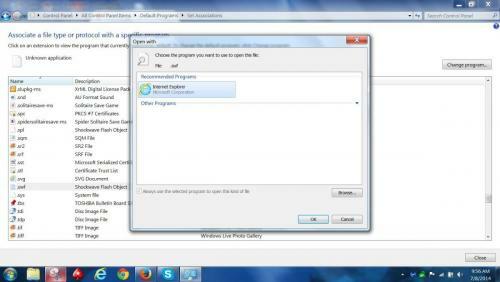 Even if you uncheck; the bundled programs will still be installed some times. That's why I don't recommend any down load link that uses these Down Load Managers. When I clicked on your link, it wanted to install a plug-in therefore I did not continue. I fight these Down Load Managers every day and I'm fed up with their tactics. All I can do is warn people. Edited by donetao, 08 July 2014 - 03:47 PM. Are the plugins currently enabled in your web browsers ? Can you validate ? Yes, they are set to "Always activated" except the Java one.